There are two parts to your immune system, called “non-specific” (this responds right away to toxic exposure, bee stings, trauma, etc) and “specific” (which takes some time, but is more targeted against specific invaders). Think of non-specific immunity like a sledge hammer, while specific immunity is more like a scalpel. The sledge hammer is quick and dirty, and (as you might imagine) will cause a lot of inflammation even in surrounding healthy tissues. The scalpel, on the other hand, won’t cause as much collateral damage, but it will have to be very carefully directed in order to do any good. Because your specific immune system (the scalpel) needs careful direction, two kinds of cells are necessary: the T and B cells. Think of the T cells as the managers and the B cells as the workers–-that is, the B cells actually produce antibodies against specific invaders, while the T cells tell the B cells what to do. The T cells can be further subdivided into cytotoxic (cell-killing) cells, and helper cells. We’re concerned with the latter. 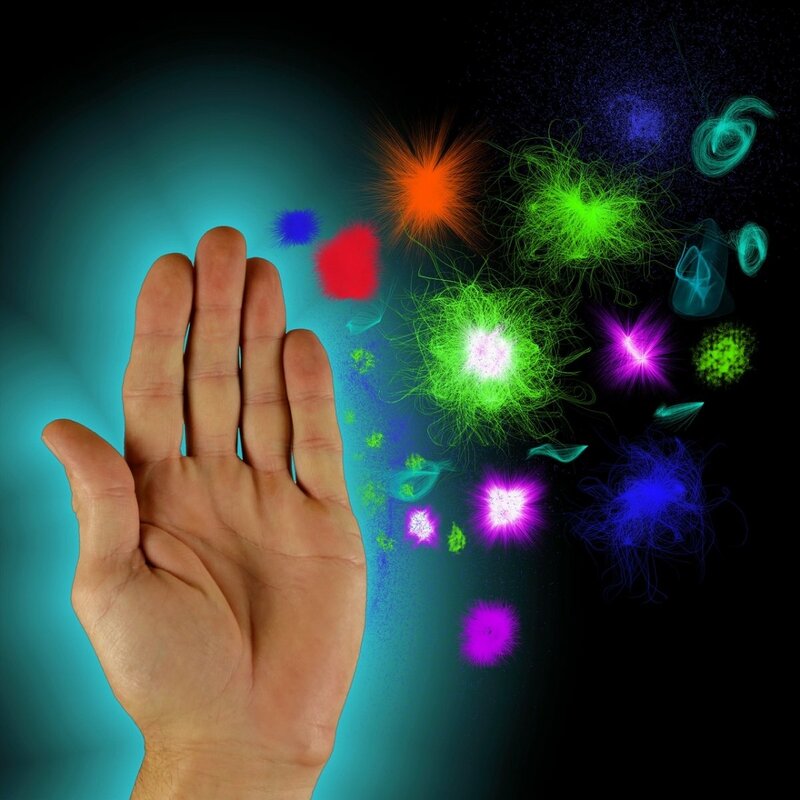 These help direct the immune system about the kind of enemy they’re fighting. 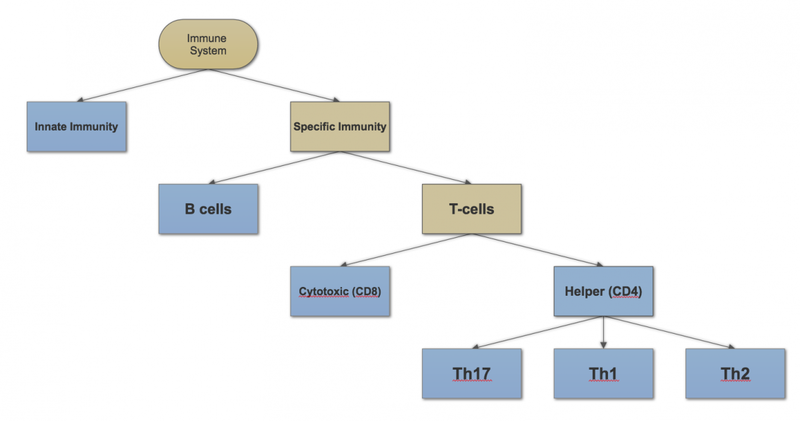 There are three types of helper T cells: Th1, Th2, and Th17. If they’re doing their jobs correctly, Th1 directs fights against intracellular threats. These threats are viruses, and bacteria that act like viruses by hiding inside the cell (such as chlamydia and mycoplasma). Th2 focuses on extracellular threats, such as most other types of bacteria not covered by Th1, parasites, and toxins (like mold biotoxins and solvents). Th17 seems to be more antifungal, but there’s a lot of overlap with Th1, too. Each type of T-helper cell has its own signals that it sends to the rest of the immune system, called cytokines. Cytokines are specific to their type of T-helper cell, and those of each type of T-helper cell suppress those of all the others. That way the immune system can always signal the right army to deal with the current threat. Each set of cytokines also encourages other T cells to differentiate into their own type—so it becomes a feedback loop that builds upon itself. That’s what you want, as long as the threat remains. Cytokines are inherently inflammatory, though—which is a good thing, in its place. But imbalance in cytokines can lead to too much inflammation, signaling the immune system to attack either a friend (allergies), or yourself (autoimmunity). Since Th1 cells are designed to attack intracellular threats, when Th1 cytokines are out of balance, it can lead to organ-specific autoimmunity (like Multiple Sclerosis, Hashimoto’s, Type 1 Diabetes, etc). Th17 can play both sides of the field, so there’s less of a hard and fast rule on what Th17 dominant cytokines can mean… but more often excess Th17 cytokines seem to look like a Th1 excess. Chronic Lyme, for instance, can be a combination of the two. Since dominance of one type of cytokine tends to suppress those cytokines of another type, allergies and autoimmunity tend to be like a teeter-totter. The best known example is pregnancy. Autoimmunity is three times as common in women as men, and usually in women of childbearing age. Yet in pregnancy, the body shifts towards Th2 dominance, to prevent rejection of the fetus. This is one reason why allergies tend to worsen in pregnancy. It’s also one of the reasons why many organ-specific autoimmune conditions go into remission during pregnancy. Post-partum, the incidence of organ-specific autoimmune conditions goes up, though. Personally, I wonder if this isn’t because the body has been used to Th2 cytokines for quite awhile, and the sudden decline of them leads to a ‘pendulum swing’ in the opposite direction, towards autoimmunity. That’s just a guess, though. The point is that dominance of Th1 tends to suppress Th2, and vice versa. So it stands to reason that if you can find out which set of cytokines you’re overproducing, you can push the opposite pathway in order to balance out. Quite a few studies exist showing nutritional, lifestyle, hormonal, and supplemental recommendations for predominance of any of the three. This may be a novel approach for treating out-of-control immune reactions. If you suffer from allergies or autoimmunity and have struggled to find an approach that works for you, consider seeing your functional medicine or naturopathic doctor for testing and a personalized treatment plan.